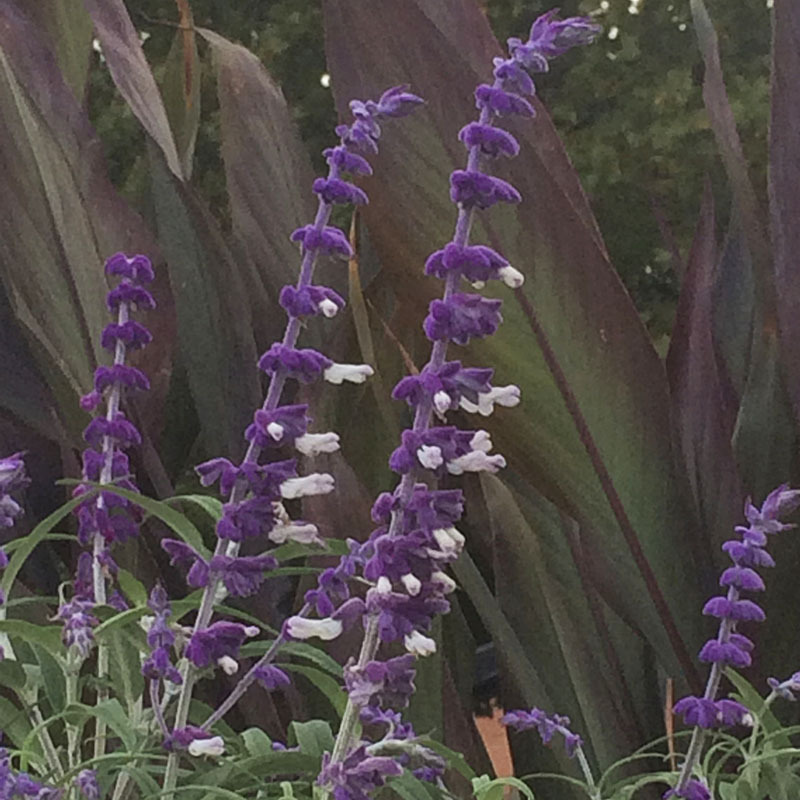 Soft, fuzzy purple and white flowers top this showiest of all salvias late summer to frost. Fragrant foliage and long-lasting flowers make this sage a good cut and dried flower. 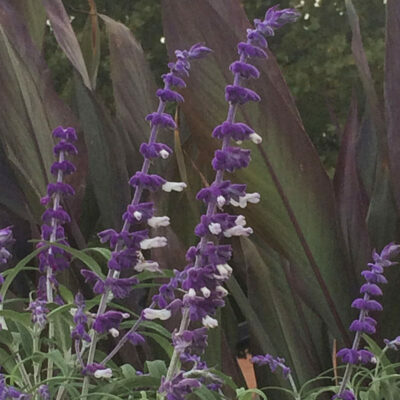 A fast, sturdy grower with good form, Mexican Sage is perfect for filling in empty spaces in the garden while waiting for slower growing plants to fill in, or to take the place of summer dormant plants. Makes a beautiful hedge. Full sun. Average to lean soils. Height 3′. Spread 3′. Grow as an annual zone 8 and lower.